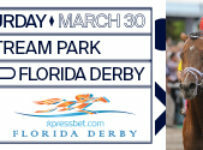 Saturday, March 28 — “There is always a buzz throughout the day on Florida Derby day,” says trainer and owner Bill Kaplan. 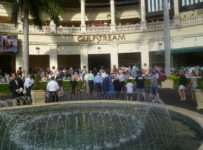 As usual, Kaplan will be part of that annual buzz on Saturday at Gulfstream Park. 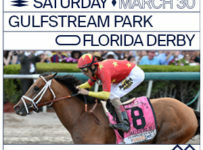 He trains My Point Exactly who is 30-1 in the morning line for the Florida Derby (Grade 1) as well as Ekati’s Phaeton and East Hall who will be among favorites in undercard stakes races. 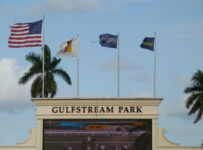 “It is very exciting especially for the owners who have a horse in the Florida Derby,” Kaplan said. 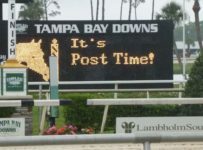 We’ll be with some of My Point Exactly’s owners before the race, and tomorrow we’ll have a report on what it’s like to be an owner of a horse in the Florida Derby. 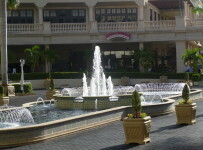 East Hall finished fifth in last year’s Florida Derby. 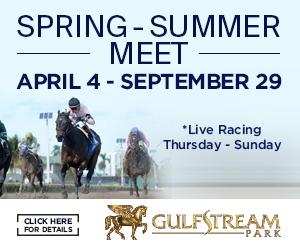 He has won three stakes races since last July, and has an unusually strong stamina that Kaplan thinks makes him well-suited for today’s 1 3/16 mile Skip Away (Grade 3) on dirt. 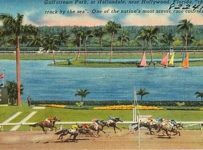 The race has a $150,000 purse and is for 4-year-olds and up. 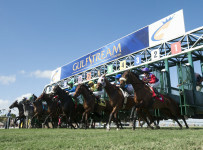 Ekati’s Phaeton won the Davona Dale (Grade 2) at one mile on dirt at Gulfstream on Feb. 21. 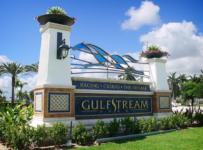 Kaplan is hopeful that she can carry her speed 1 1/16 miles today in the $300,000 GuIfstream Park Oaks (Grade 2) for 3-year-old fillies. 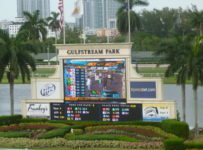 Kaplan’s goals are less lofty for My Point Exactly in the $1 million Florida Derby (Grade 1) with a nine-horse field. 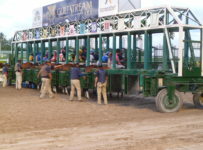 The race is 11/8 miles on dirt for 3-year-olds. Instead, Kaplan and My Point Exactly’s owners are looking to see how well the horse can handle a two-turn race. Lazarus is managing partner of Pinnacle Racing Stable, a co-owner of My Point Exactly. 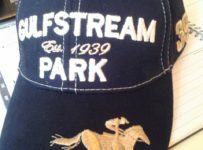 Jack Hendricks, Roger Justice and Robert Norman are the other owners. My Point Exactly has won two of his four starts. 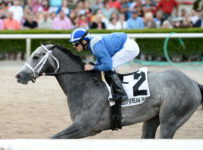 But he is 30-1 in the in the morning line partly because he has not raced since last Sept. 6 and partly because of the strength of the Florida Derby field that includes the Fountain of Youth stake’s first two finishers Upstart and Itsaknockout.